Pure Delight is a delicate collection of elegant blooms perfect for any occasion. 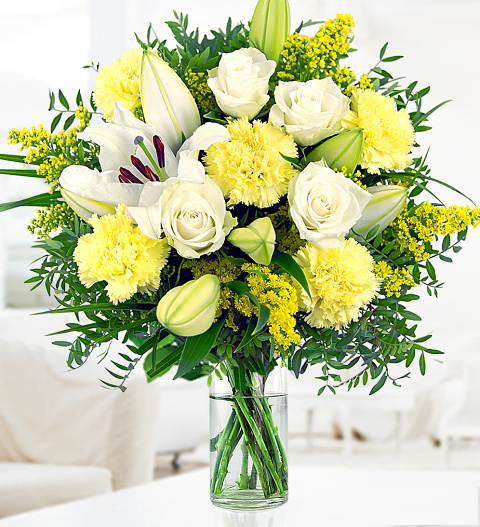 The heavenly scent of the Lily is softened with luxurious Avalanche Roses and accents of soft yellow carnations with solidago and pistacia. Pure Delight is finished in complimentary wrap by one of our expert florists. Chocolates may contain nuts.